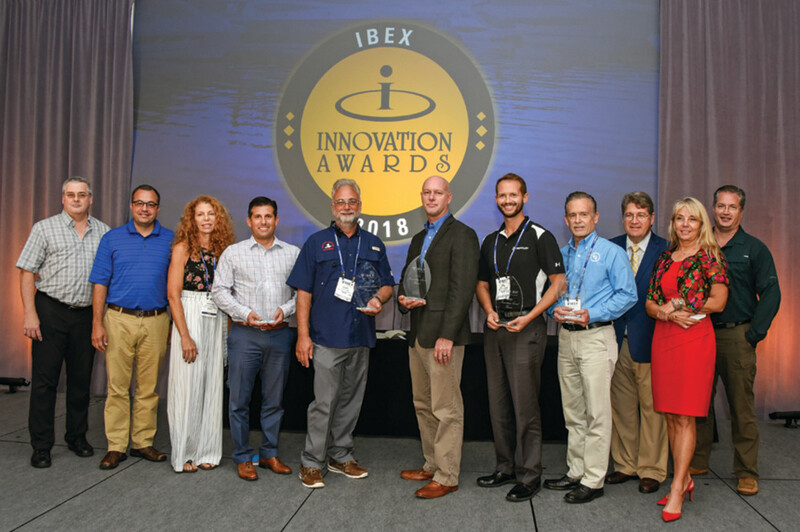 The Innovation Awards were handed out at IBEX during the industry breakfast. As Wendt notes, many winning products solve real-world problems for boaters and boatyards. A pontoon owner no longer has to deal with erecting poles for his cockpit cover. A boater who hates stains from through-hull outlets can now prevent them with a simple tool. Painting a boat has also become easier. This year’s winners are real products for real boaters, not just examples of technological wizardry. Here’s a look at each category winner. Second, the shifting was removed from the twisting throttle control. Instead, there is now a dedicated lever, which makes operating the engine more intuitive. Third, Mercury focused on reducing noise, vibration and harshness. Finally, there are multiple adjustments the user can make so operating the tiller is more comfortable. That includes one that locks the tiller into a 73-degree position so it can be used as a kicker beside a larger outboard. Two words that will never be associated with painting a boat are “easy job,” but Awlgrip’s Quick Build multi-color coating is designed to simplify the process. It can be used as a primer and finisher and is available in six colors that can be mixed to create custom hues. Traditional primers come in black or gray and require multiple coats. 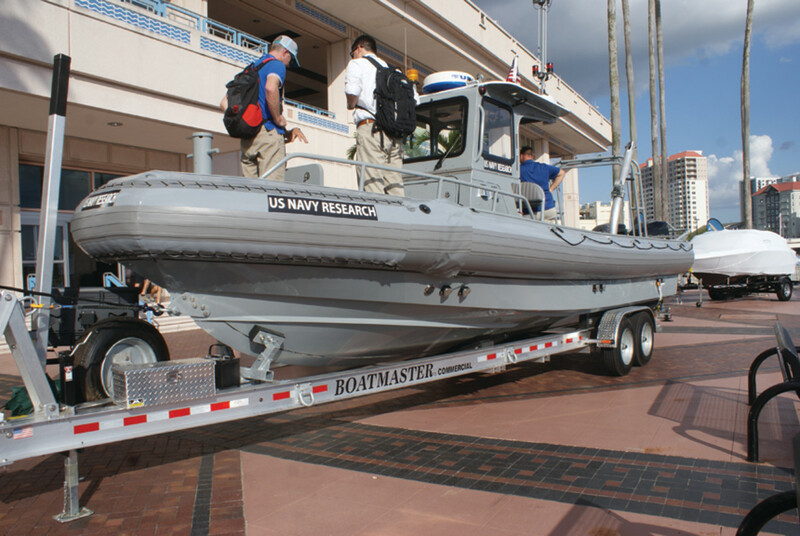 “If you have a red boat, you can get something that will get better depth of image and enhance that image all the way through,” says Matthew Anzardo, marketing manager, yacht coatings North America, for parent corporation International Paint. In addition to being available in black, blue, white, red, green and yellow, Quick Build can be formulated to be used as a primer or as a sealer. It can even be used on properly prepared aluminum without a preprimer, which speeds up production, and it doesn’t have to be sanded prior to a top coat. Finishing a boat with conventional primers and finishers typically would have taken two to three days, says Anzardo. With Quick Build, he says the time is cut down to one day. Structural Composites was working with the U.S. Navy on a laminate that would allow a hull and deck to flex. But the company also wanted to develop a gelcoat that would do the same. To achieve that, Structural Composites partnered with Interplastic Corp.’s CoCure to develop Advanced Marine Coatings, which was adapted from the commercial transportation and defense markets. AMC combines polyurethane and polyester to provide coating crack resistance and improve weathering. AMC was applied to a Navy advanced combatant craft (below) that used the new advanced coating in a commercial formulation. An honorable mention in this category went to Dowco Marine for its Nextoon prefabricated pontoon-boat furniture and deck system. A cockpit cover that doesn’t allow water to puddle and doesn’t require support poles will make boating easier. TaylorMade’s pole-less self-draining pontoon cover has a few inch-wide mesh strips running down the center. The cover is designed to pull water down into the mesh. It then drains into a fabric gutter sewn in place beneath the mesh. The gutter can be directed anywhere the boat owner wants to ship the water overboard. Taylor Made started with a pontoon boat because of its potential complexity. “A pontoon is typically the most frustrating cover because it takes four to five poles,” says Don Zirkelbach, president of fabric systems for Taylor Made. The gutter has two straps to hold it in place. Secure the forward strap first, then attach the rear strap, tightening it to pull down the cover so the mesh drain is the lowest point. The cover secures without snaps, instead using plastic hooks that connect to the pontoon’s side skins. Because tension pulls down the cover, it can be used when the boat is being trailered. In addition to the pole-less cover, Taylor Made introduced a Bimini top with an integrated boot and a quick-release mounting system. An honorable mention in the covering category went to Quality Mark’s Pop-A-Pole. It’s not uncommon for a boat owner to spend hours waxing the hull sides to keep them shimmering. A few drips running down the boat from a through-hull fitting can ruin that appearance. Dripper Guard PRO is a simple rubber lip that installs behind the through-hull fitting and routes water away from the hull. The water drips down without touching the boat. “People like the simplicity of taking care of a problem that has been around for so long,” says Colin Daley, president of Dripper Guard. Noteworthy features include the patented driplet design and the Dripper Guard PRO’s construction material — soft, UV-protected rubber that flexes if it encounters a piling or fender and will not be damaged by the sun’s rays or salt water. Also, it serves as a gasket between the through-hull and the boat, improving leak resistance. The SG200 has features that set it apart from other battery monitors, the most important being that you can read it. “The display is the first thing that catches everybody’s eye because current battery monitors have a monochromatic display,” says Tim Bock, president of Balmar and CDI Electronics. “You can read this display without your reading glasses, you can read it from a distance, you can read it with a good viewing angle.” The display is also sunlight readable. The SG200 is designed for the RS45 operating network. The monitor provides state of charge, state of health, an amp meter and the discharge rate, based on the battery’s chemistry. The device is self-learning and provides accurate readings from the start with new batteries and increases in accuracy. Bock says that the health reading is unique to the SG200 — it gives the current capacity relative to when the battery was new and how the battery has aged. “We’re the only ones doing that,” he says. Balmar borrowed technologies from laptop computers and cellphones to add the level of monitoring. The SG200 is also designed for all battery chemistries, including wet lead acid, AGM, TPPL AGM, gel, carbon foam AGM and lithium phosphate. Among the Apollo 770’s features are Party Bus digital signal processing and the ability to swipe through the unit’s controls on the touch screen. Since June, Baird says, customers who have purchased the system have made 14,000 downloads for Apple Airplay. Next year, Airplay 2 will be an available upgrade. Because a full profile of the boat is done every time an Apollo stereo is installed, Baird says Fusion has had to make sure it educates customers on how to keep up with upgrades. Fusion is creating more online videos so consumers can see how to perform the upgrades. “As we make the products more advanced, we need to take the customers along with us,” says Baird. Shoxs make shock-mitigation products used primarily in the military market. 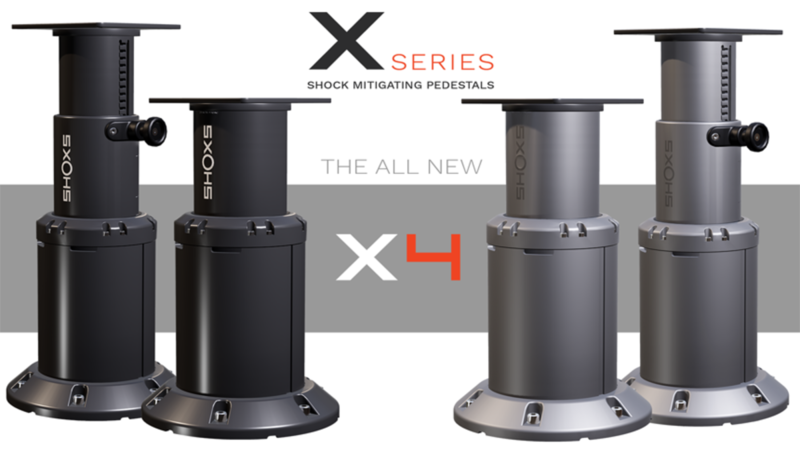 The Canadian company is moving into the light-commercial and recreational segments with its X-Series shock-mitigating pedestals. Shoxs uses air suspension to dampen impact, while competitive seat mounts use modified mountain-bike shock absorbers. Shoxs pedestals can be adjusted to the weight of the person using them. “There are a lot of suspension seats out there, but protecting the occupant from bottoming-out events is where the real trick is,” says Tony Van Meter, director of business development for Shoxs. The X-series pedestals can be used with a variety of seats. They are available in black or silver anodized finishes and have no pinch points if the seat compresses completely. 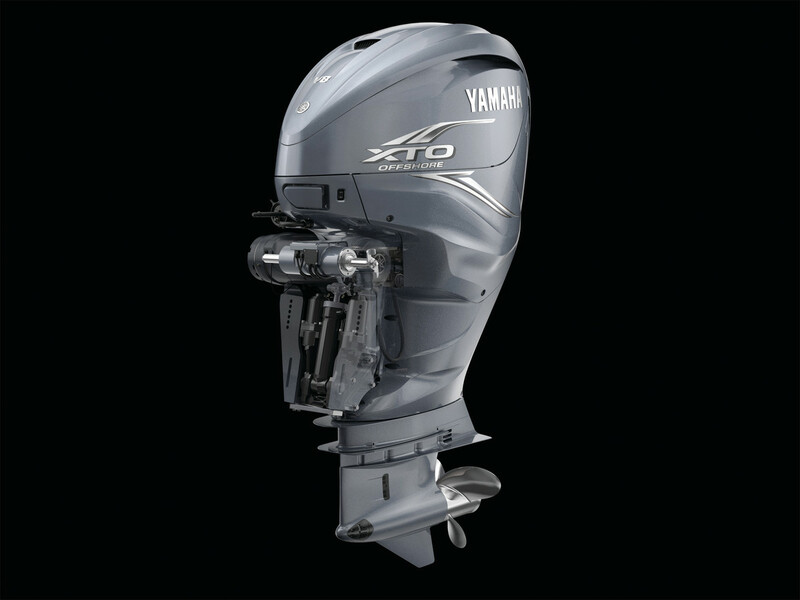 The X4 pedestal provides 4.4 inches of suspension travel for mild and moderate boating conditions. The X8 provides 8 inches of suspension travel for more extreme conditions and taller ride heights. As the marine industry moves toward more plug-and-play applications, the Orphos Fi8 puts navigation lights, an anchor beacon, a mast light, flag, radar detector, front-facing floodlight, rear-facing LEDs, an optional digital TV antenna and a horn into a single housing. The Fi8 is built with an acrylonitrile styrene acrylate housing coated in glossy urethane paint for increased resistance to weather. ASA is the same material used to make automobile bumpers. Internally, the wiring and lights are run and installed to American Boat and Yacht Council standards, and enclosed circuits control all functions. The wiring, through a harness to an IP67-rated marine-grade connector that leads to a single 30-foot cable, can be routed to a boat’s electrical panel. The masthead unit snaps on, so there are no extra connectors. A fiberoptics cable conducts light to a reflector at the top of the mast. The optional mast can be used as a fold-down unit. The switch is solid-state, with no moving parts. It operates on 12 or 24 volts and can drive virtually any bilge pump on the market. “There’s nothing to break, and it has a very rugged, low-profile enclosure,” Divjak says. The switch has multiple settings. In marina mode, it detects oil and stops the unit from pumping anything overboard. When it detects only water, it resumes pumping. In sanctuary mode, it detects oil but sounds an audio alarm and a visual alert to ensure that nothing is shipped overboard. For boat owners who don’t like to drill into their hulls, the switch mounts with a bracket that secures to a stringer or bulkhead. For oil detection, it needs to be installed in a horizontal position, but when it’s used strictly as a high-water alarm, the BG-One can be mounted vertically. Using a Bluetooth link and a smartphone app, an owner can test the pump before leaving the dock. It’s difficult to find a segment in the marine industry with faster technology development than electronics. 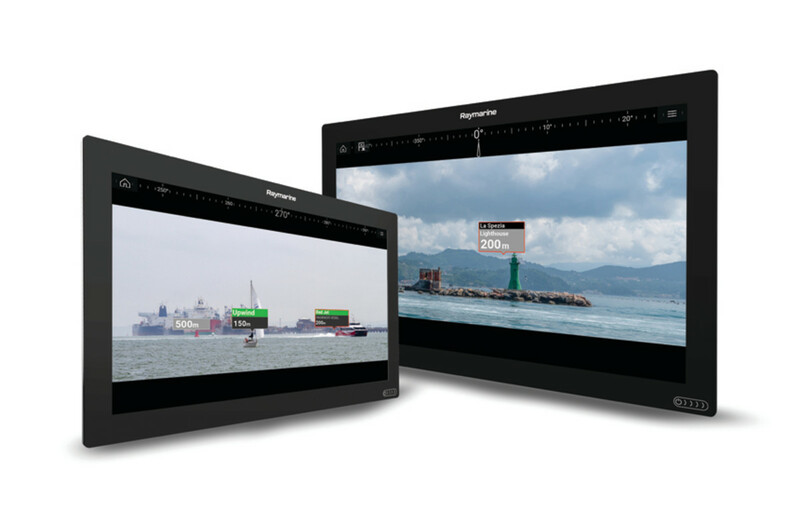 Raymarine won an Innovation Award for its Axiom ClearCruise Augmented Reality multifunction display. All Axiom displays run the Lighthouse 3 operating system, and Raymarine will update Lighthouse 3.7 to run with Augmented Reality. The system requires a FLIR HD camera. Augmented Reality overlays physical navigation objects onto the Axiom high-definition display. Additionally, FLIR has a new stabilization module that the Raymarine AR200 integrates with ClearCruise. ClearCruise AR video imagery is supported by Raymarine CAM210 HD marine cameras to provide an augmented-reality view from any camera position on the vessel. 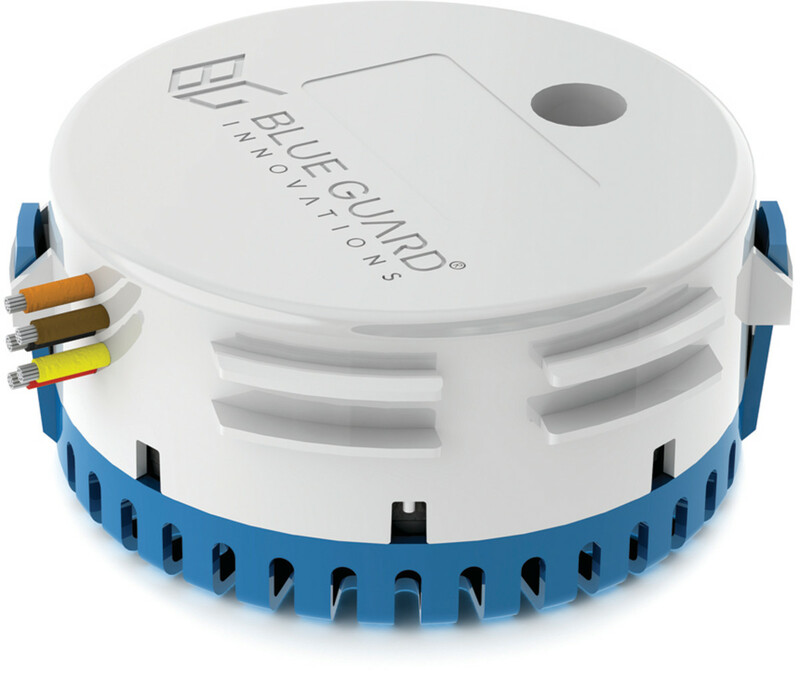 The AR200 module includes a GPS/GNSS sensor and the same attitude heading reference sensor technology used in Raymarine’s Evolution autopilots. ClearCruise AR displays nearby navigation markers, AIS traffic, objects and waypoints in sync with real-world imagery for instant recognition. Suzuki Motor of America earned an Honorable Mention in this category for its Multi-Function Gauge. Medallion and Malibu teamed up to provide a new viewpoint for a boat driver with the Docking/Trailer Camera. The two companies took an aft-facing camera and mounted it on the bow, reversing the angle on the display. Now a driver can see when he’s getting close to the bow roller on a trailer or the front of a dock or lift. “What we’ve also found is that it’s actually a good supplemental eye for when you’ve got a little bow rise going,” says Scott Frye, an application engineer with Medallion. Medallion, which makes gauges and displays, has a docking mode that mutes the throttle response while docking. When the docking mode is active, the bow camera comes up, providing a forward view. A driver can also turn on the camera without having the docking mode engaged.